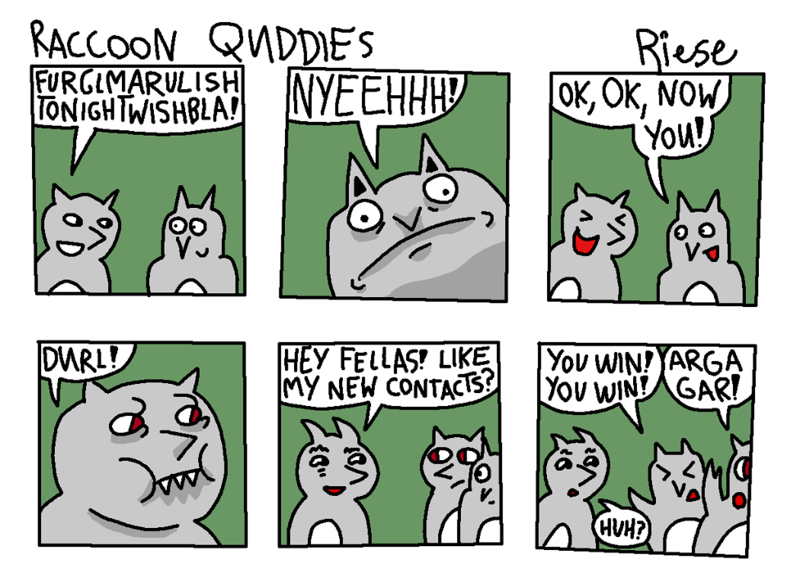 The first ever quddies comic to include TWO WHOLE PANELS of shading! Yay! Great shading panels. I'm still too lazy to include it in my comics. I'm really just afraid that if I start it, I'll have to keep it up.